Prior to buying my first Weber kettle, I assumed that all charcoal grills were created equal. I also thought that dousing a pile of charcoal briquettes with lighter fluid was a rite of passage passed down from previous generations. The fiery ignition and that distinct “taste” provided by this lighting method harkened me back to memories of family picnics and backyard BBQs. Well, like with many things in life, you learn from your mistakes and you find better ways to accomplish the task at hand . This learning started for me when I was a young adult and I bought my first Weber kettle. Keeping the lid closed to help cook my food was an eye-opener and one that I have yet to look back from. Backyard cooking became fun again because I was now empowered with the right tool to ensure success. To complement my backyard journey, I began to play around with different types of fuel to better understand the characteristics of each as well as to determine how charcoal had a direct impact to the taste profile of what I am cooking. Now working for Weber, I am fortunate to have access to many different types of fuel and this type of experimentation is actually part of my job description – believe it or not. I tried lump for hot and fast grilling and briquettes for longer cooks and even smoking. Not only did I get smarter on what type of fuel works best for each application, I became more particular as to what fuel to use for my cooks at home. For me the best taste resulted in when I used lump charcoal, but the burn did not last and I never could use it when smoking. For longer cooks, traditional briquettes worked well, but they omitted a dirty smoke and left a lot of ash leaving me to question what’s in this product? What I ended up gravitating towards was all-natural briquettes for both the flavor and consistent results. 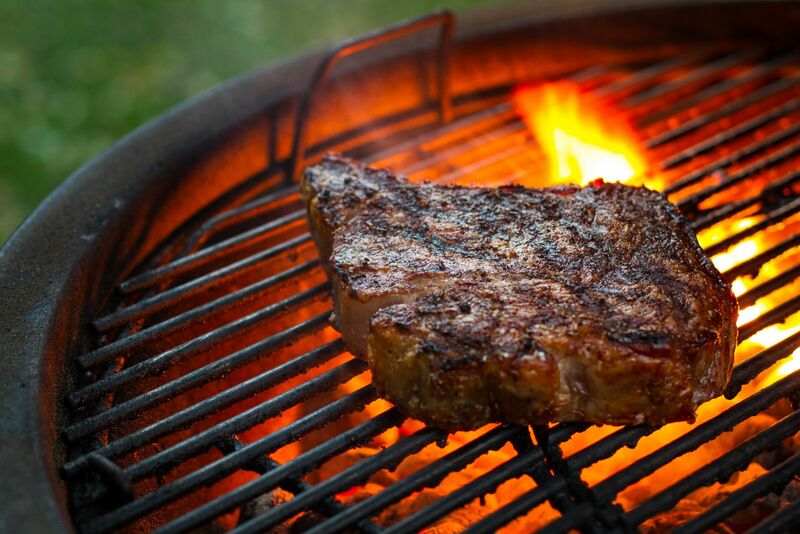 100% All-Natural: What you put in your grill should be just as important as what you put on your grill. These new briquettes are made from hardwood char fines held together by a vegetable starch binder – AND that’s it! No added chemicals or fillers to keep you guessing. Great flavor going directly into your prized grilling masterpieces. Like discovering the Weber kettle and covered cooking many years ago, there is no turning back. Burns Long: Due to the larger briquette size along with the natural ingredients, these new briquettes provide a long burn when I have roasted chickens or smoked a 9lb. pork shoulder without having to refuel. You can even shut down your grill for the night and re-use the next time. Consistent Heat: There are so many variables when cooking outdoors. When you are able to eliminate these along the way (great grill, great food, etc.) it makes things easier each time. 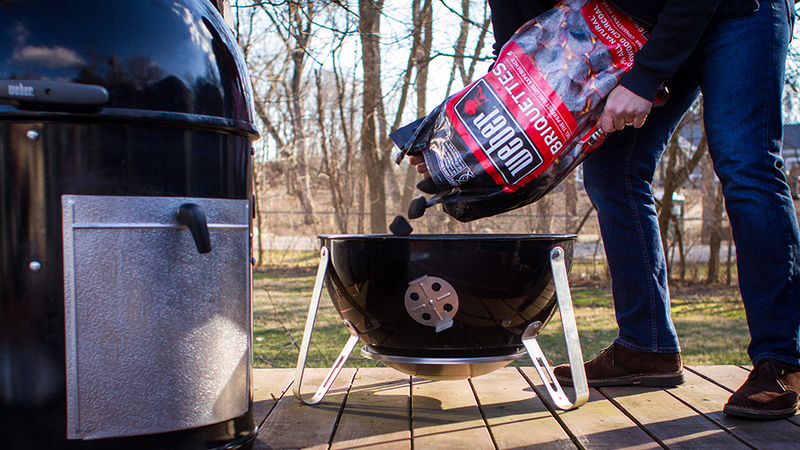 Because of the even heat you get from these new Weber Briquettes, life around the grill just got better. So there you have it. I have my great Weber kettle now fueled by the new Weber Briquettes, the best of both worlds. All I need now is some great food. Now, where did I put those steaks? Grill On!